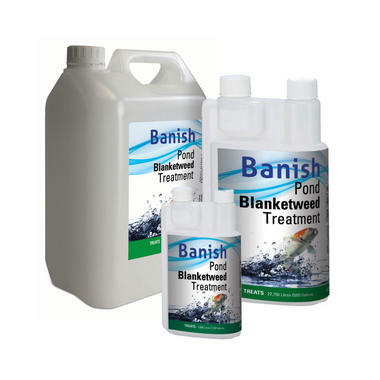 Pond Algae, also known as Blanketweed, can spoil the appearance of a pond and can create a biological imbalance that could result in damaging plants and killing fish. This "string algae" can even block or clog up pond filter and pump systems, reducing their effectiveness and possibly damaging them. Using the correct treatment helps to stop the growth of Blanketweed. 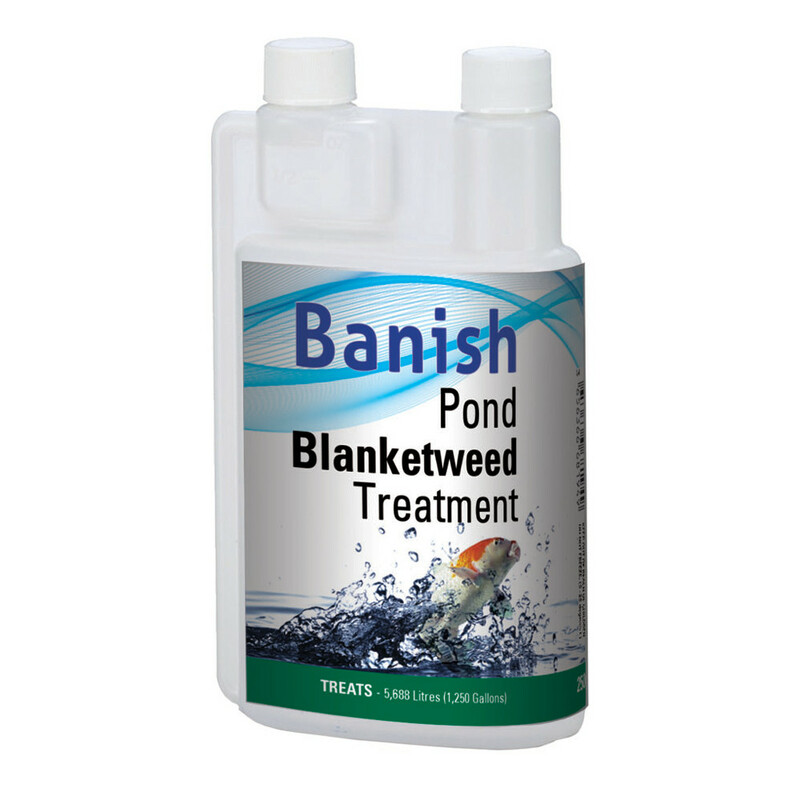 Banish Pond Blanketweed is an effective treatment, specifically designed to control many types of common pond algae that begins to grow in the spring and summer months. The treatment uses unique hydro gel technology to flocculate all floating green algae, which can then be effectively removed from the pond by the filter. 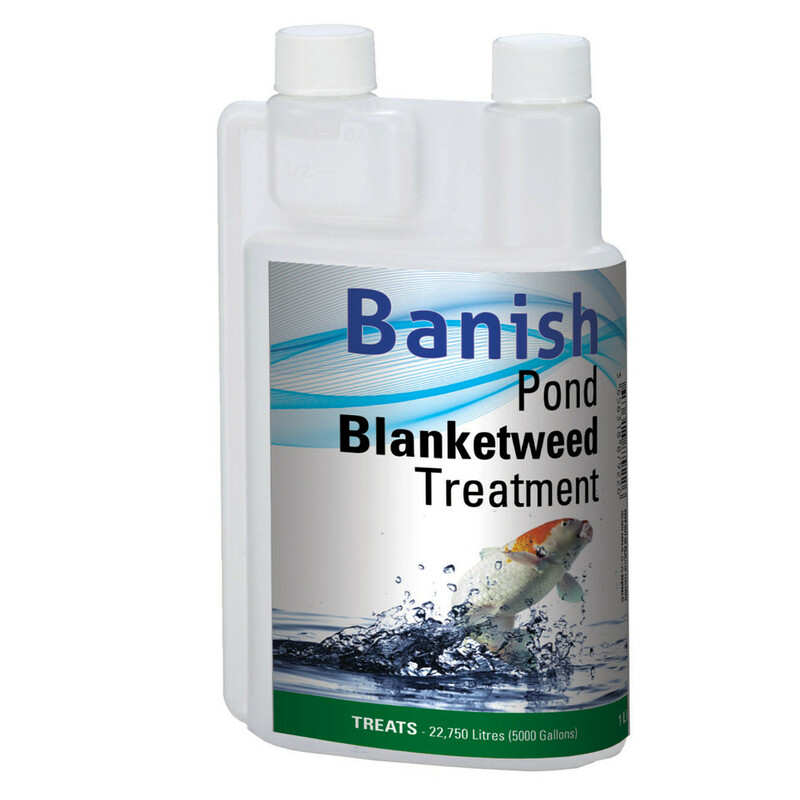 Banish Pond Blanketweed, when used correctly, helps to remove the blanketweed and deter further growth. The treatment is safe and simple to use. 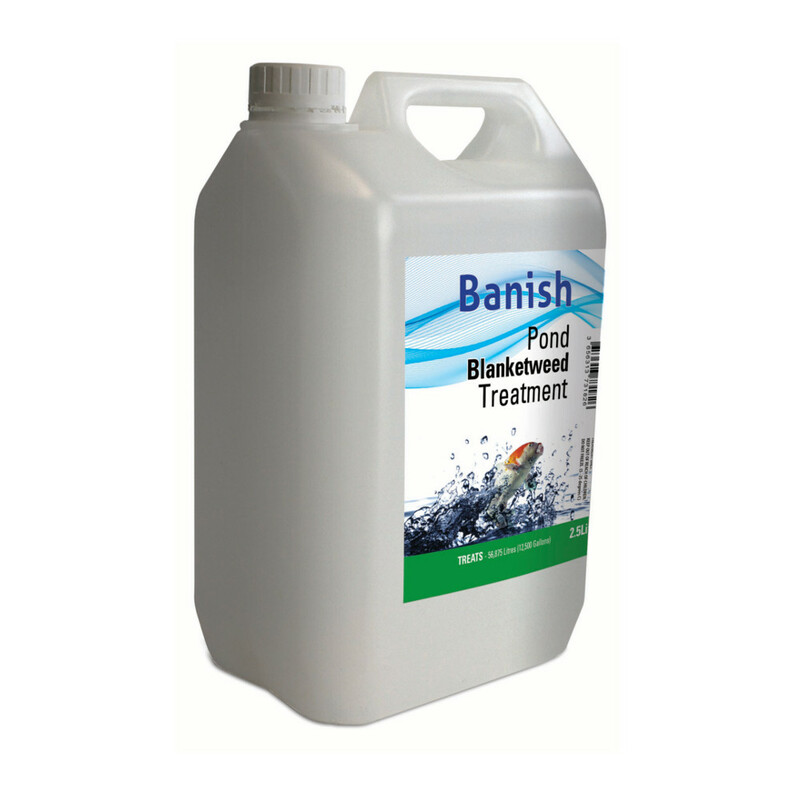 Simply add 10ml per 225 Litres (50 Gallons) of pond water. Pour into the pond and repeat after 1 week if needed.